Now Kyra Berry is the bringing the American Foundation for Suicide Prevention’s Out of the Darkness Walk to Mt. Laurel again on Oct. 21. Lenape High School rising senior Kyra Berry first joined Girl Scouts in kindergarten and never looked back, bringing her now to her 13th year with the program. Berry describes her years of dedication to Scouting as allowing her to find her voice and better advocate for the ideas she believes in for her community. “It teaches girls leadership, teaches them to communicate with each other and it helps them develop new friendships. There’s just an endless list of how amazing Girl Scouts can be for young girls. It just really helps them develop a sense of self,” Berry said. With that in mind, last year Berry achieved her Gold Award — the highest award offered for high school aged Girl Scouts. To receive a Gold Award, a Girl Scout must complete at least 80 hours of work on their own related to a project that solves a long-term issue in their community. Berry, who said she dealt with clinical depression for around two years, dedicated her Gold Award to reducing people’s stress and spreading awareness of mental issues. 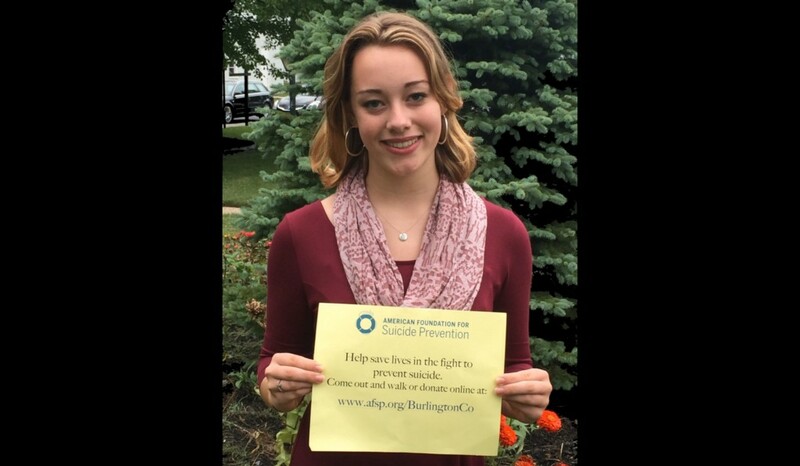 To do so, Berry created the Stress Less Club at Lenape High School where her peers could learn about techniques to overcome their stress, and last fall she partnered with the American Foundation for Suicide Prevention to hold an Out of the Darkness Walk at Laurel Acres Park. The walk, known as the signature fundraiser of the AFSP, brought about 150 members of the community together to raise money for the foundation’s suicide prevention advocacy and education programs. Due to the success of the walk, Berry said she already plans to bring the walk back for a second year at Laurel Acres Park on Oct. 21. “Breaking the stigma around suicide and mental illness is something that’s really important to me, and it’s something where I hope people will continue to come out to the walk and speak out about all these issues we’ve tried to keep quiet. We shouldn’t be doing that anymore,” Berry said. According to the AFSP’s website, communities hold more 350 Out the Darkness Walk fundraisers a year with 200,000 attending to raise money for suicide prevention. Berry is asking even more members of the community to come out once again for a cause she believes affects everyone. “I think somehow, someway, everyone is touched by it, either by knowing someone with a mental illness or someone who attempted or went through with suicide. Prevention is something everyone should be aware of and support,” Berry said. Those looking to donate to, register or learn more about the upcoming Mt. Laurel Out of the Darkness walk can visit www.afsp.org/BurlingtonCo.